Born Francisco Tebar Honrubia in Madrid, Spain, on October 23, 1969, Picaso Jr. was the son of the legendary juggler El Gran Picaso (Francisco Tébar Picazo), who was a major circus star in Europe in the 1960s and '70s, and popularized "mouth juggling" with ping-pong balls. Although his father taught him to juggle at an early age, Francisco thought he was too shy to be a performer. Therefore, he chose to attend college, and earned a degree in economics. He later spent some time in the military—which is when, as a hobby, he began honing his juggling skills. When a small circus owned by friends of his family came to perform near the base where he was stationed, Francisco show them his juggling routine for the fun of it, but to his surprise, they offered him a job on the spot. Realizing that he couldn't escape his circus heritage, he returned to the circus and made his debut at the Benidorm Palace Dinner Show in Spain on May 5, 1996, where he performed alongside his father. He then embarked on a brilliant solo career with an act reminiscent of his father's, though with a more contemporary touch. In 1997, Francisco participated in the Festival Mondial du Cirque Demain, where he won a Bronze Medal. His career was definitely launched. Picaso Jr.—as Francisco was known—had been featured in practically all of Europe's major circuses and variety theaters. He was awarded a Silver Clown at the International Circus Festival of Monte Carlo in 2002. 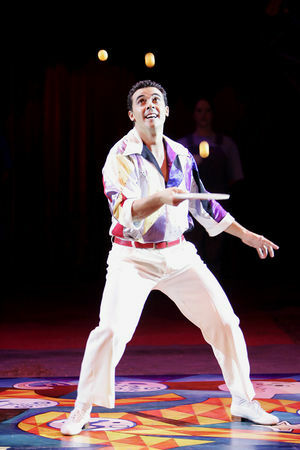 In the United States, he had been featured at the Big Apple Circus in 2004-05 and 2009-10, and at Circus Sarasota in 2011. In 2015, he participated in the Idol Festival at the Bolshoi Circus in Moscow. Picaso, Jr. held a Guinness World Records for flashingIn juggling, the act of juggling objects in a move that is sustained for only a very short time. four ping-pong balls with his mouth (2008). He had also been presented with the National Circus Award by the National Institute of the Performing Arts and Music (INAEM) of the Spanish Ministry of Culture. Sadly, Picaso, Jr. passed away on Sptember 24, 2017, at age forty seven, a most untimely death for this exuberant and popular juggler who still had a long career in front of him.